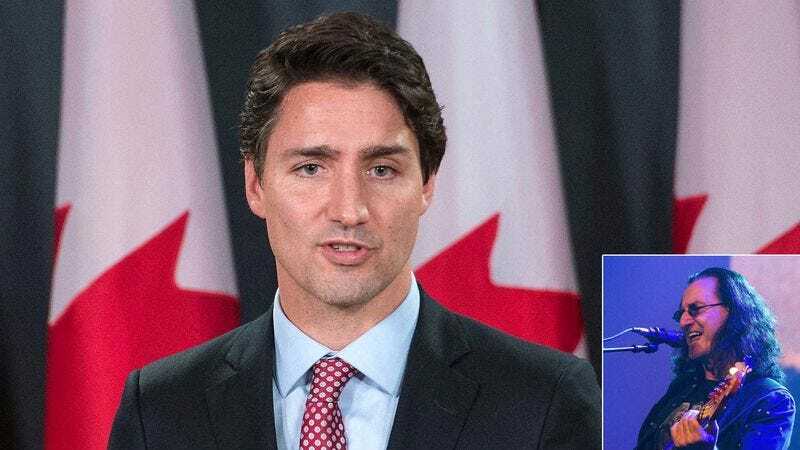 OTTAWA—Saying it was only right to give back to those who had done so much for their country, Canadian prime minister Justin Trudeau unveiled a plan Thursday that would provide for the healthcare needs of the nation’s aging prog rockers. “Groups from Rush to Triumph to Harmonium are valued members of our society, and it’s our duty to ensure that they’re healthy enough to tour throughout their golden years,” said Trudeau at a press conference, explaining that a new bill slightly raising sales taxes would fully fund coverage for the increased expenses incurred by the nation’s elderly prog-rock vocalists, guitarists, and mellotron players. “While prog rockers represent over 5 percent of Canada’s GDP, they require an increasing amount of our healthcare funds, with The Guess Who and Voivod accounting for millions of dollars in annual medical spending alone. As band members get older and have trouble standing for the duration of 19-minute intros, remembering all the lyrics to their fantasy concept albums, or simply getting around a 40-piece drum kit, we owe it to them to do all we can.” Trudeau’s plan has reportedly spurred calls for similar legislation in Norway, where citizens will increasingly have to contend with significant healthcare expenditures for their large and rapidly aging black metal population.